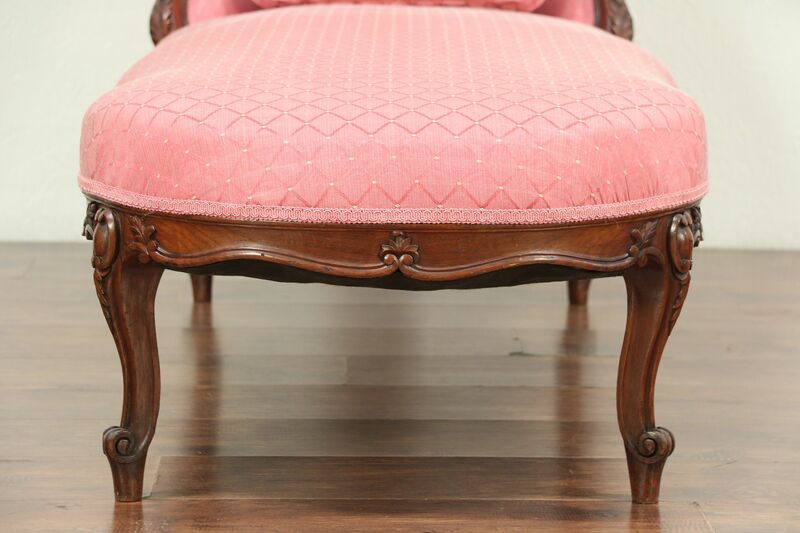 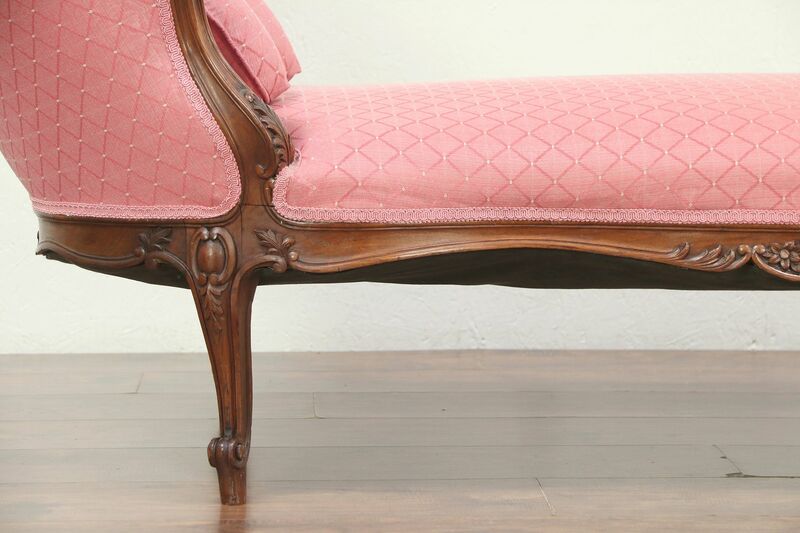 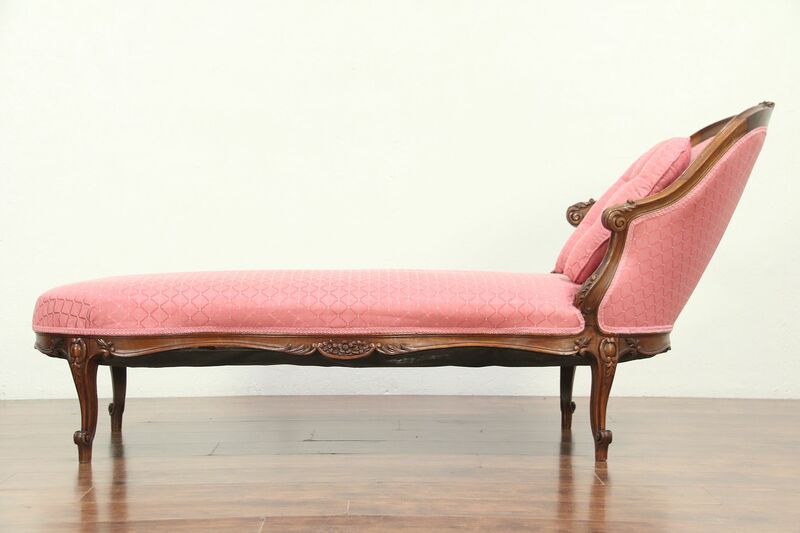 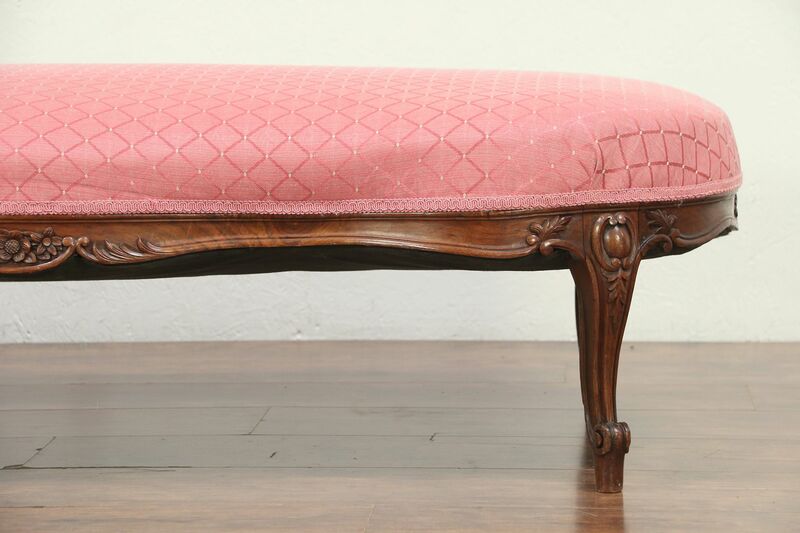 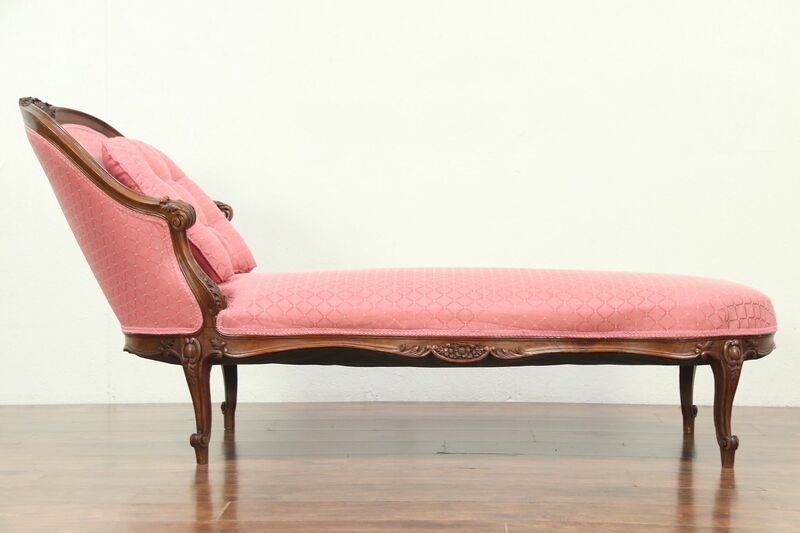 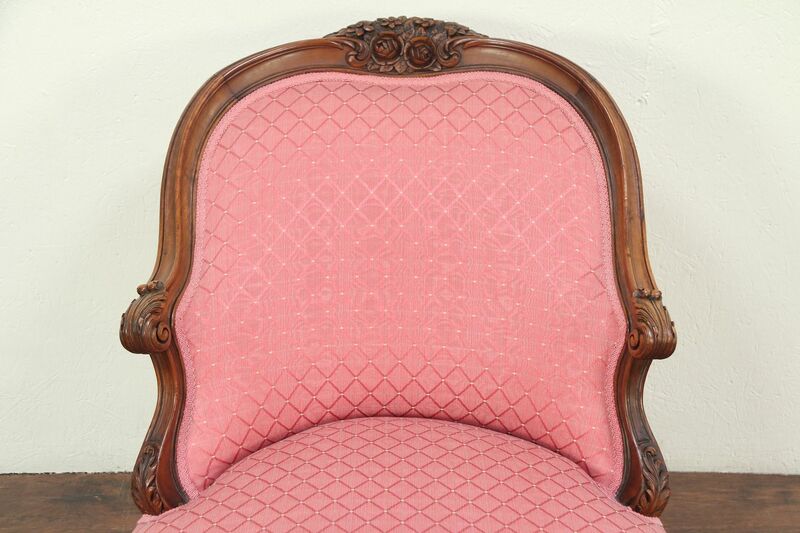 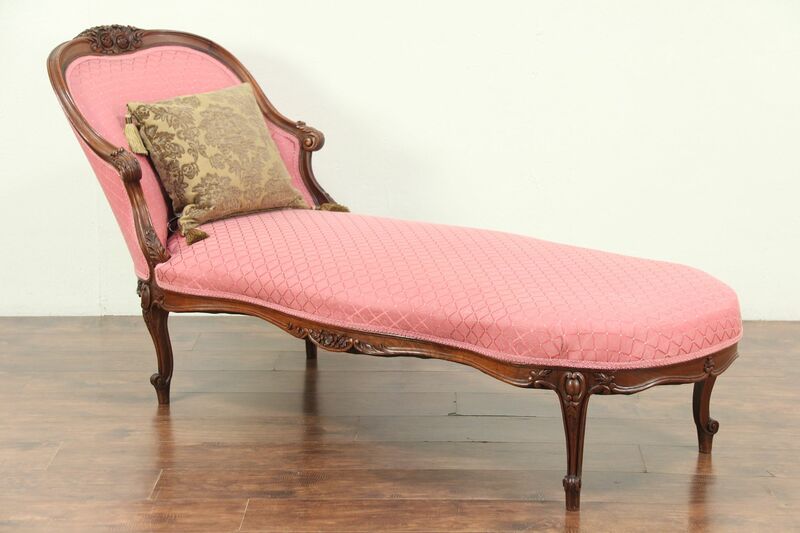 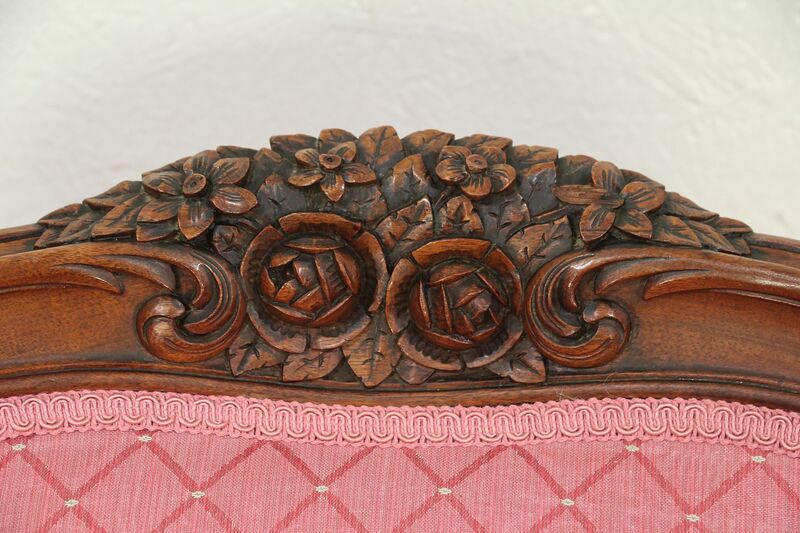 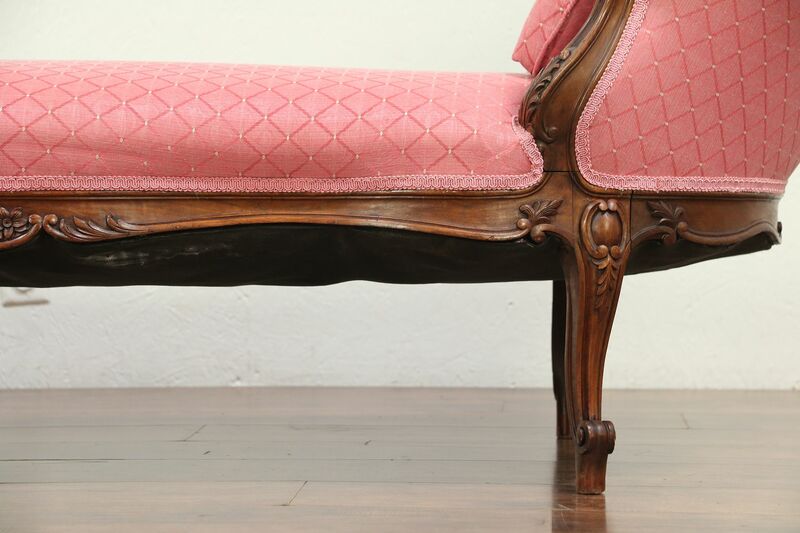 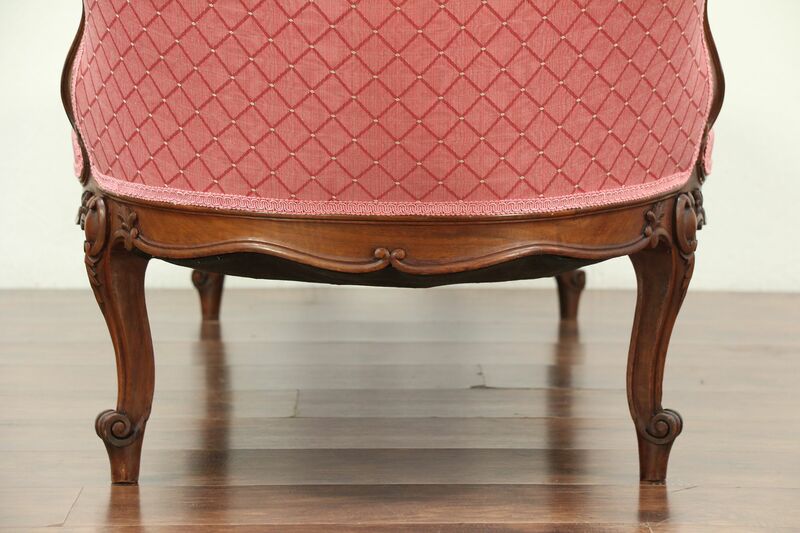 An elegant "recamier" or chaise lounge was hand carved of solid walnut in France about 1920. 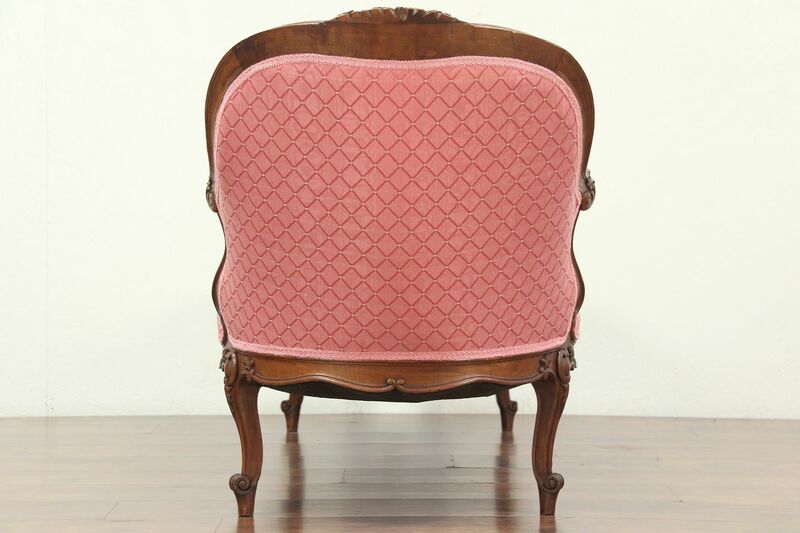 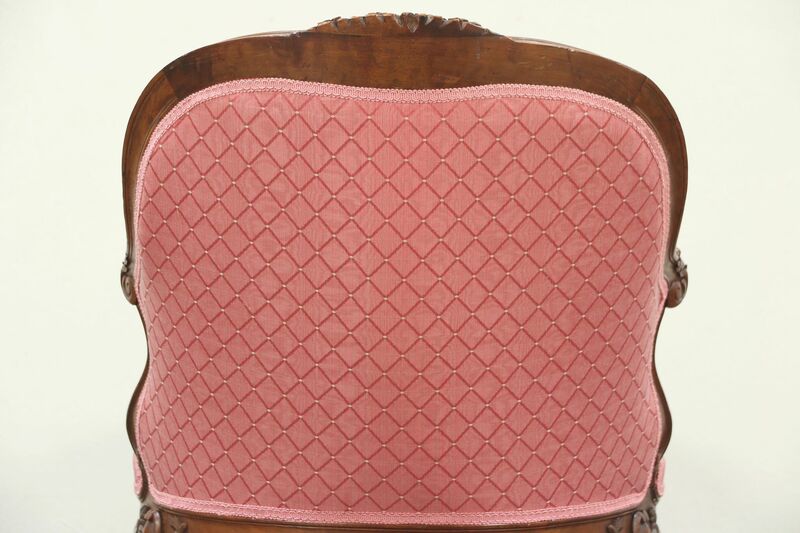 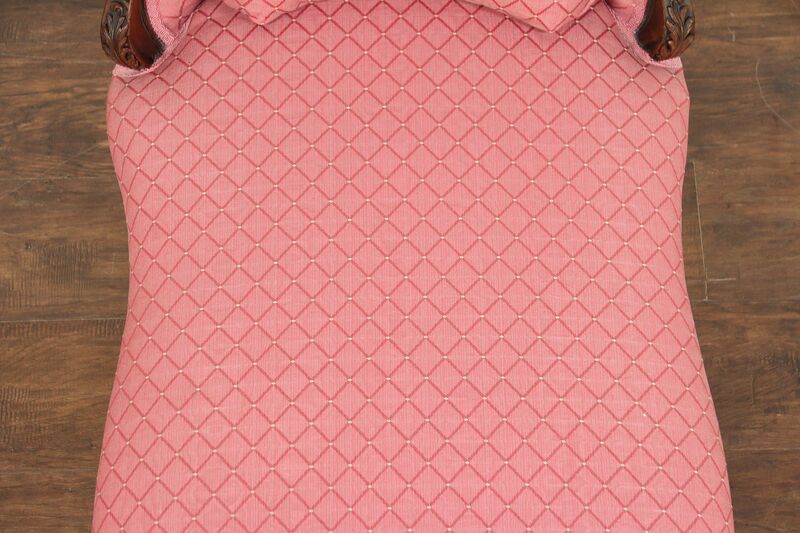 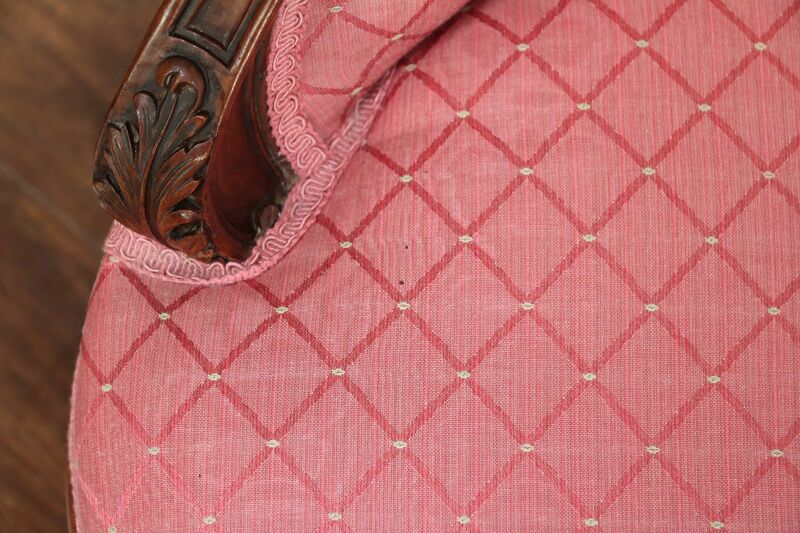 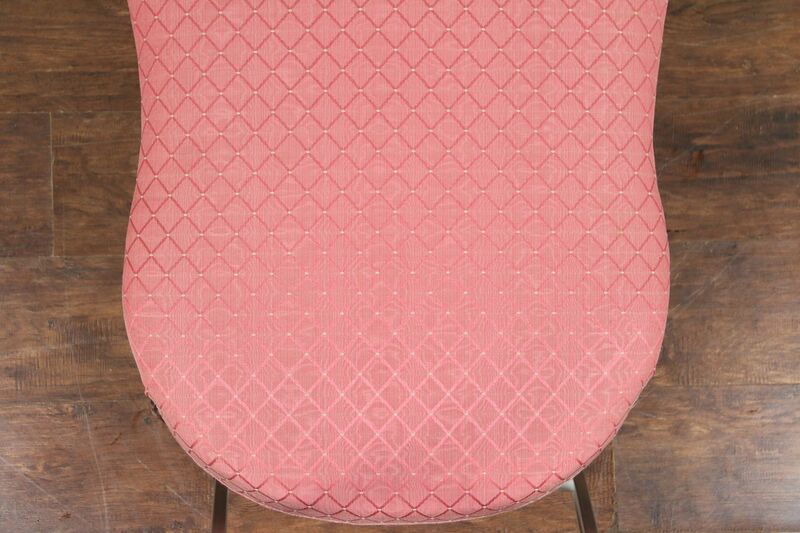 The upholstery is recent and in extremely fine condition, the pillow has a zipper for easy cleaning. 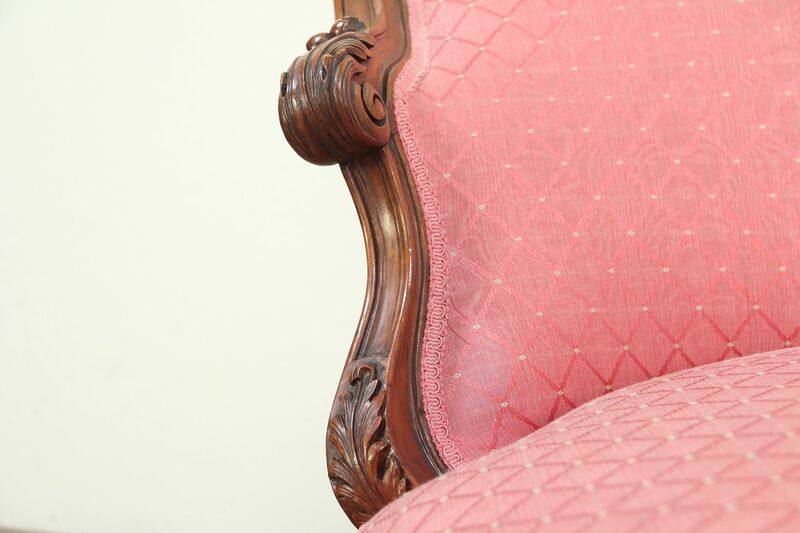 The original finish is very well preserved on this antique furniture. 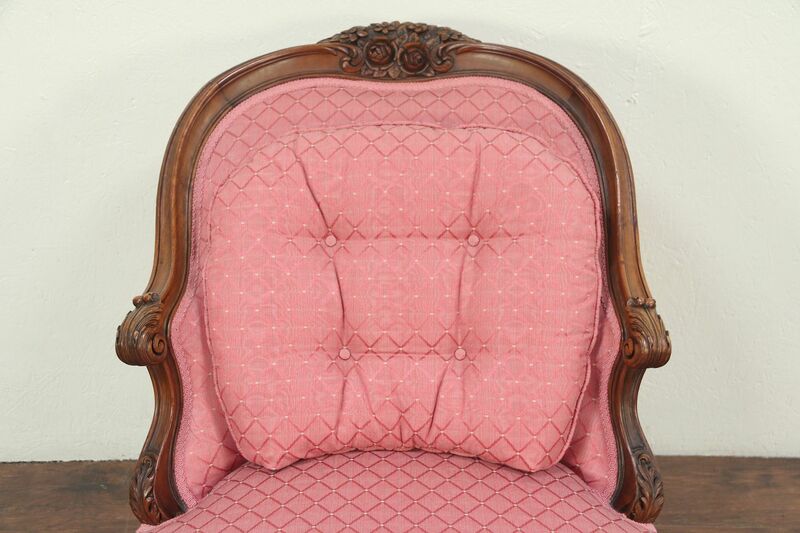 Strong and sturdy, the gently curved frame is wiggle free. 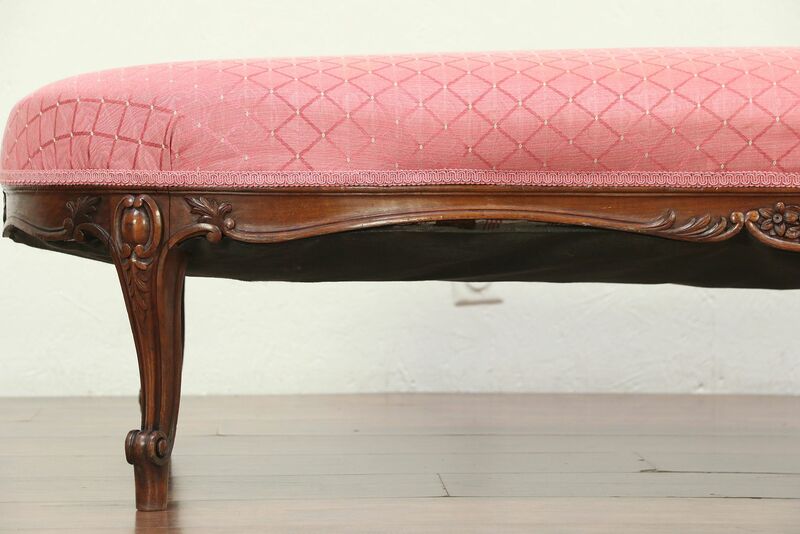 Size is 71" long, 27" wide, 34" tall and the seat is 16" high.